I sent out an update in which I asked my blog’s readers and visitors about what they would like to learn about making money online? Most of the questions have been answered via the posts I’ve already written on this blog. If you have things you want to learn about making money online, please send in yours too. The first and most important thing I need you to know is that, making money from pay per click programs is real. I make money from some of them I’ll be sharing with you later in this post. And the other most important thing is that, if you click on them, you won’t be making money but you’ll be helping the person that places the pay per click ads to make money. 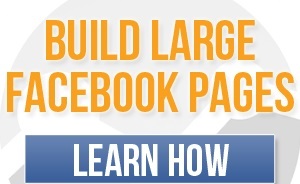 This simply means, once YOU click on pay per click ads, SOMEONE else will be making money. So, how do you make money online from pay per click programs? A pay per click affiliate program, also referred to as PPC, is certainly one option you should consider in making money online. You earn every time the PPC ads on your website/blog are clicked. The earnings are generated regardless of whether a sale is made or not. It is easier to make money from PPC if your ads are correctly placed and are relevant to your blog/site content. Your earnings is based on what the advertiser is willing to pay. The more competitive your niche is, the more advertisers will pay to get traffic to their sites. Your ads will likely bring in a higher commission – sometimes a dollar or more per click if the ads match your site’s topic and you get good traffic. As your site traffic grows, these earnings can add up to a substantial income. 1. A blog/site to place the pay per click programs adverts. 2. Good contents on your blog that people love to read again and again. 3. Good pay per click programs. 4. 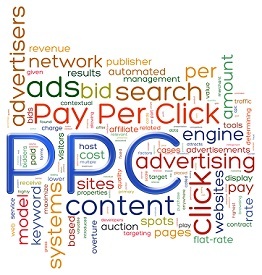 Tips to place the PPC ads on your blog. Here is a list of some of the pay per click programs I recommend you should use on your blog. Chitika allows you to display ads on your website, blog, app or mobile site, with content from our high-quality network of advertisers. Chitika offers search-targeted, mobile, and local ads to best target your users. Infolinks is text-relevant Pay-Per-Click Advertising. You’ll see key words double-underlined throughout your website or blog text. Every time a visitor hovers over one of these double-underlined words, an advertisement related to what they’re reading appears. Every time a reader clicks on one of Infolinks ads on your site, you get paid. Google AdSense is the best affiliate pay per click programs for web publishers to earn money by advertising Google Ads on their own websites. AdSense display ads on your website that are suited to your audience’s interests, and earn from valid clicks or impressions. Kontera works in a similar way to Infolinks, serves over 15,000 quality publishers every day with superior relevancy and an exclusive ad inventory that cannot be beaten. Kontera’s In-Text ads provide you with a sustainable revenue stream from your online content. The Yahoo! Bing Network Contextual Ads program enables web publishers to easily and effectively earn advertising revenue. Publishers can now use the Media net self-serve platform to create and customize ad units that display relevant text ads consisting of sponsored links and ad topics from the Yahoo! Bing Network. You should work on the things above. If you need help, you are free to ask me whenever you need them. I’ll provide you with the help you need. Also note, making money online is real BUT it is not for lazy people or people who don’t have time to be consistent online. in fact, I found your post very interesting! please, all the affiliate programs you listed above; how can someone get his/her money in Nigeria? Or does it require a PAYPAL account? am looking forward to seeing your reply in time. Hi, I listed “Pay per click” programs and not affiliate programs. Most of the pay per click programs have different payment options like Cheque,Bank Wire transfer, PayPal etc. You will choose which one is convienent with you. You can check out the sites and find which payment option they offer. Nice and wonderful sets of Adsense Alternatives! But my curiosity is simply which one is the alternative to Adsense. Av tried Addynamo, not yielding much. So which one is it now? Have you tried the other ones listed above? Really appreciate d contents you have on dis blog, very informative. Am planning on building a blog soon I hope u wouldn’t mind guiding me through with helpful tips. How can I contact u.
Hi Paul. Start on time. You can use the contact page to get in touch with me. 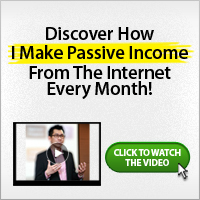 This is a sure post, will serve as a guide to making extra income online. Thanks Donatus for your comment.